Dr. Martha E. Rivera always appreciates feedback from her valued patients. To date, we’re thrilled to have collected 2 reviews with an average rating of 4 out of 5 stars. Please read what others are saying about Dr. Martha Rivera below, and as always, we would love to collect your feedback. La Dra.Rivera es muy buena. Ella se toma el tempo necesario con los pacientes. He traido a mi hijo aqui por dos años y megusta mucho como ella trata a los pacientes. Los motiva a hacer cambios nutritivos para mejorar su salud . Ella usa mucho el medicmento homeopático, cual me gusta mucho porque no tiene efectos secundarios. Great doctor she is very nice to the kids and has patience for them. Also the nurses there are the best Dalia is very caring and loves the kids she is the best at giving vaccines . 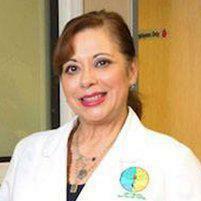 Dr.Rivera is also a doctor that uses homeopathy love it.